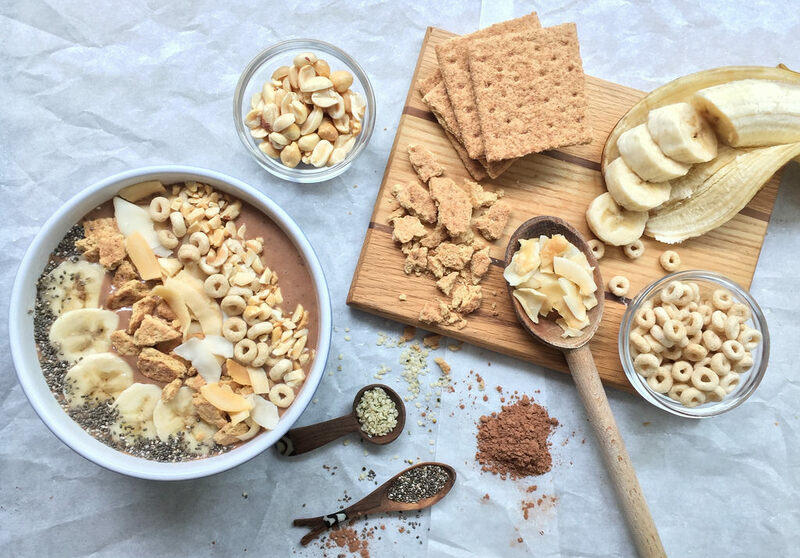 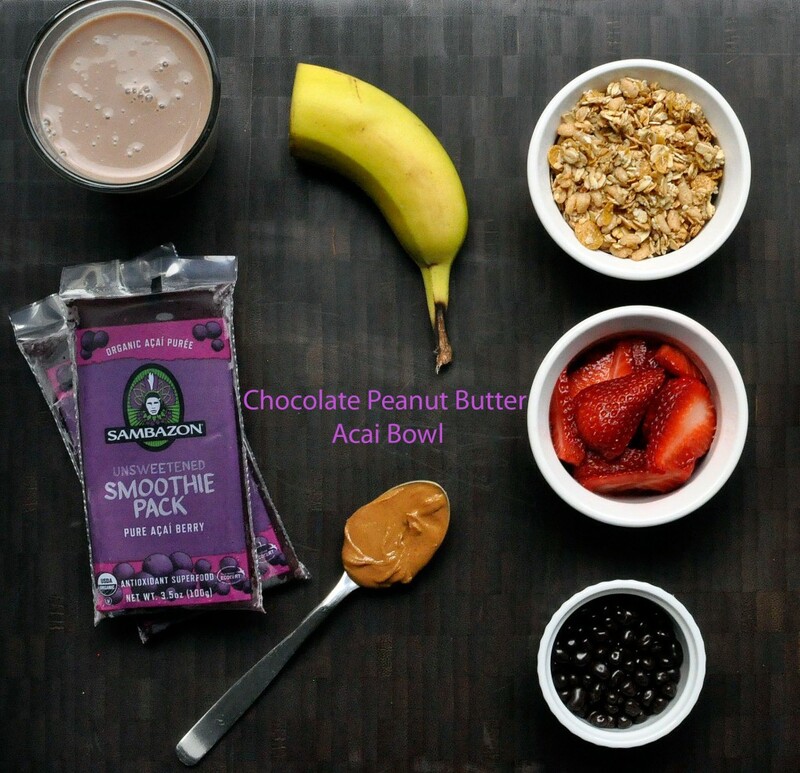 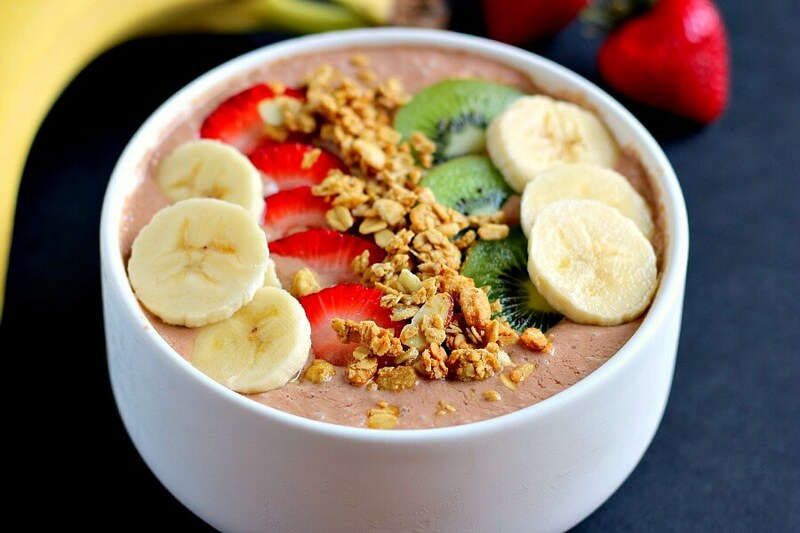 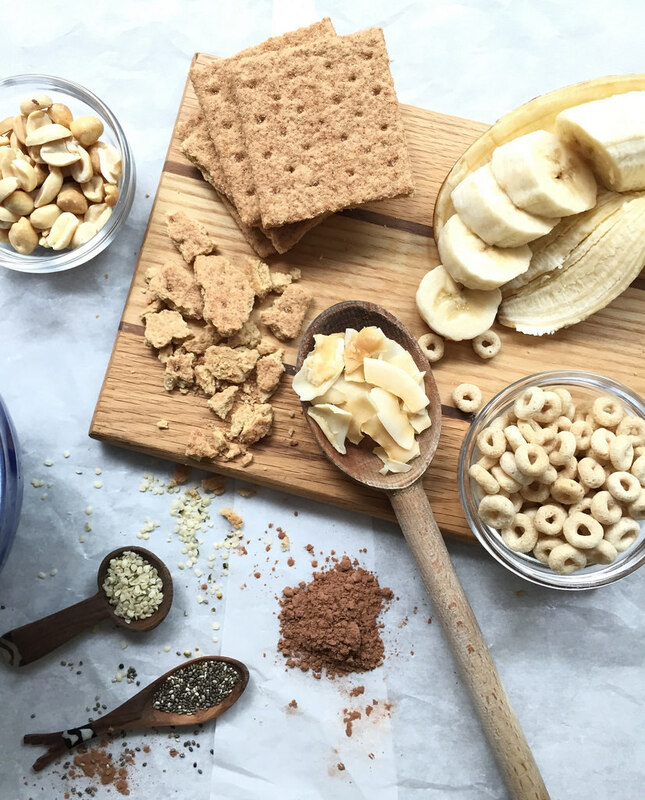 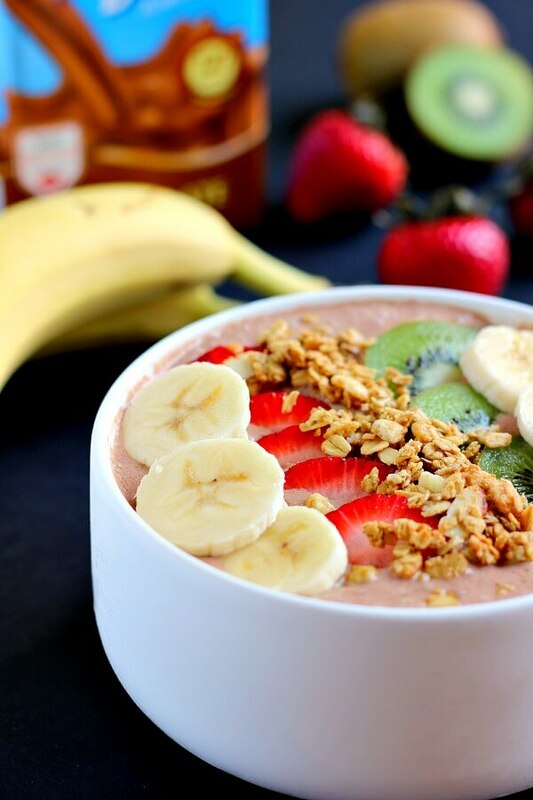 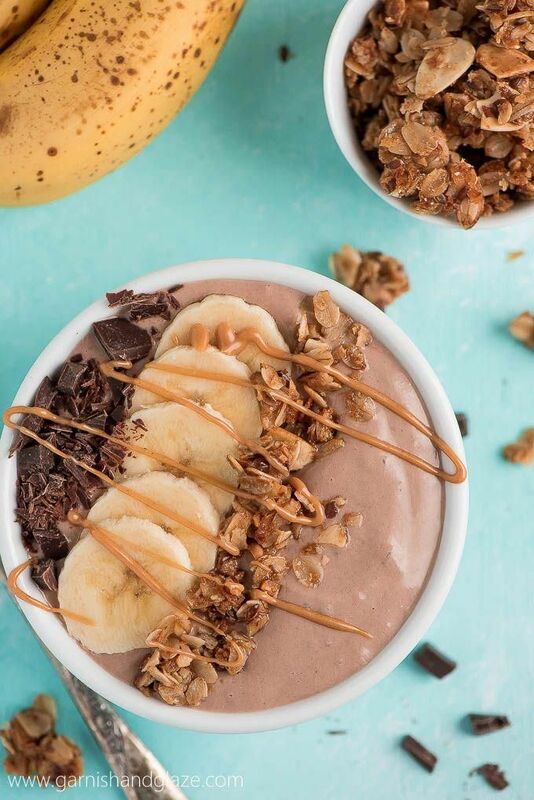 Pin the Chocolate Peanut Butter Protein Smoothie Bowl! 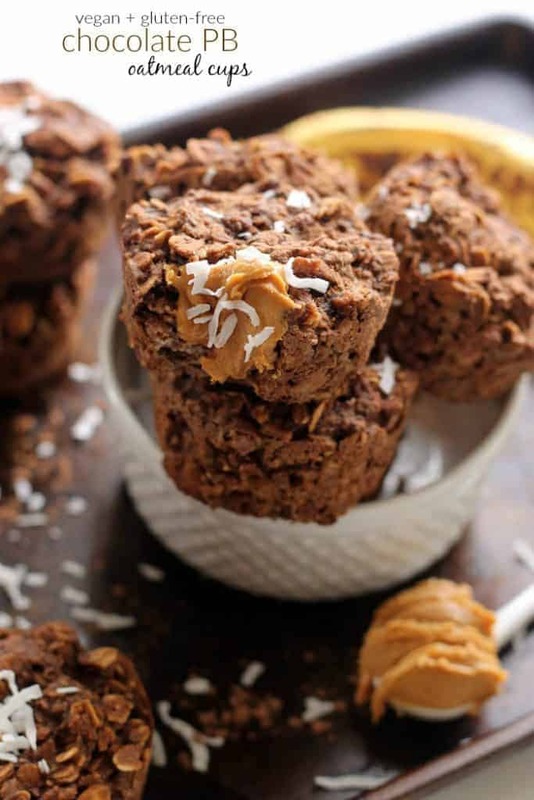 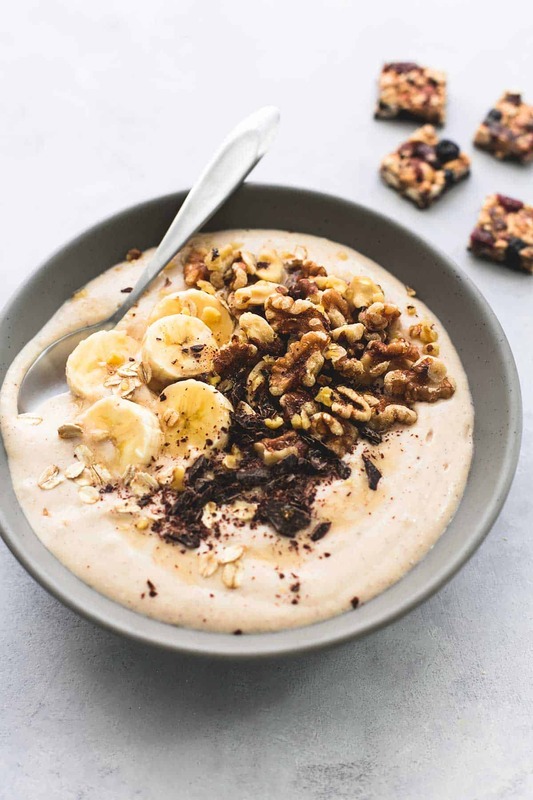 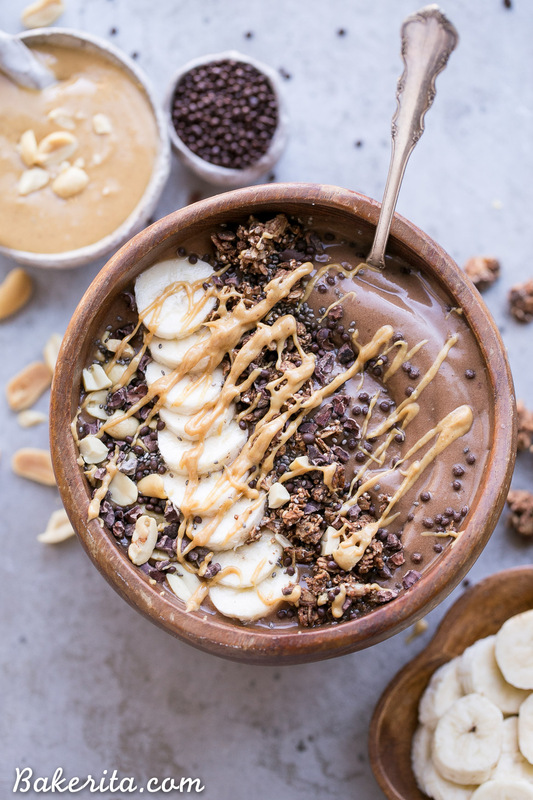 This Chocolate Peanut Butter Smoothie Bowl is creamy, smooth, high in fibre and protein, making it the perfect breakfast, dessert or post-workout snack. 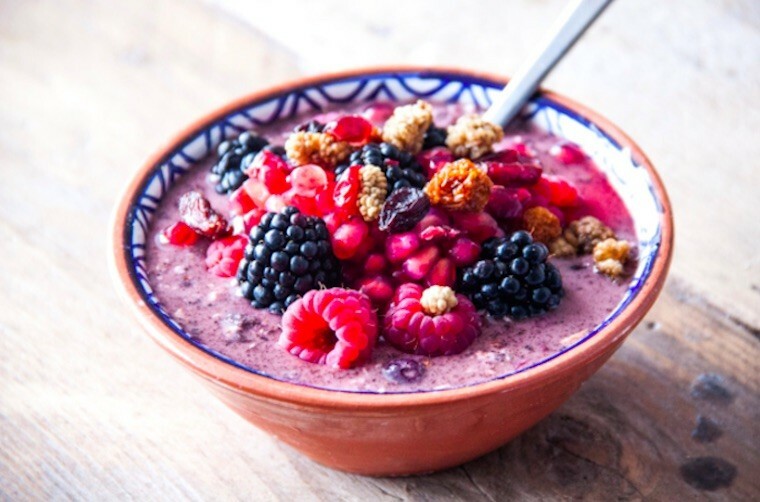 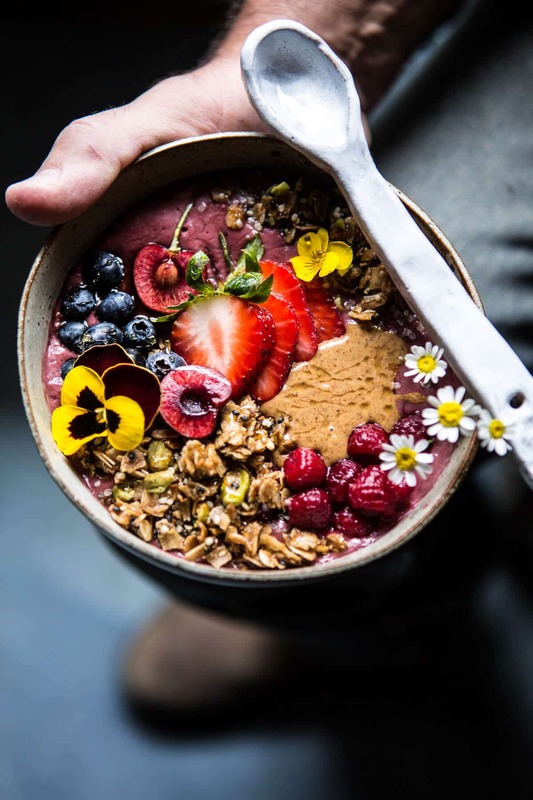 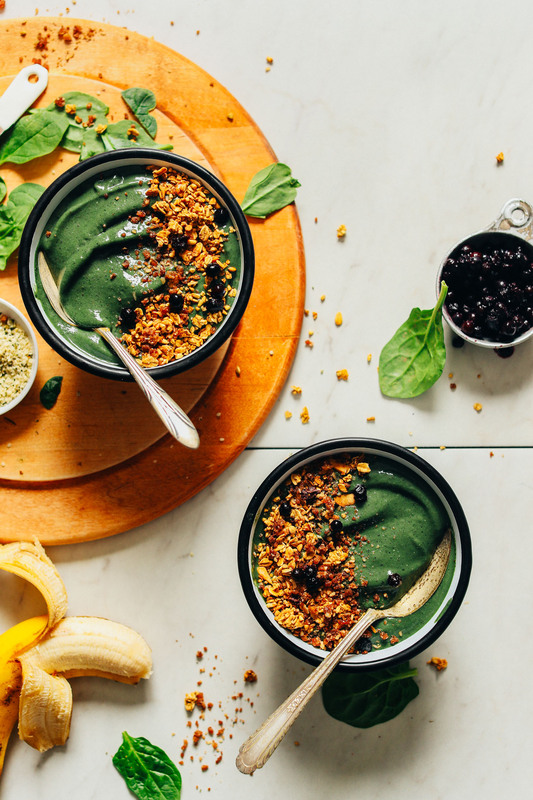 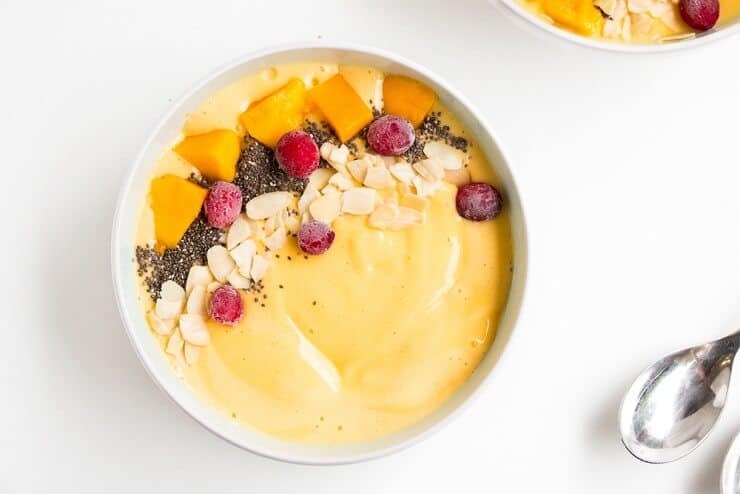 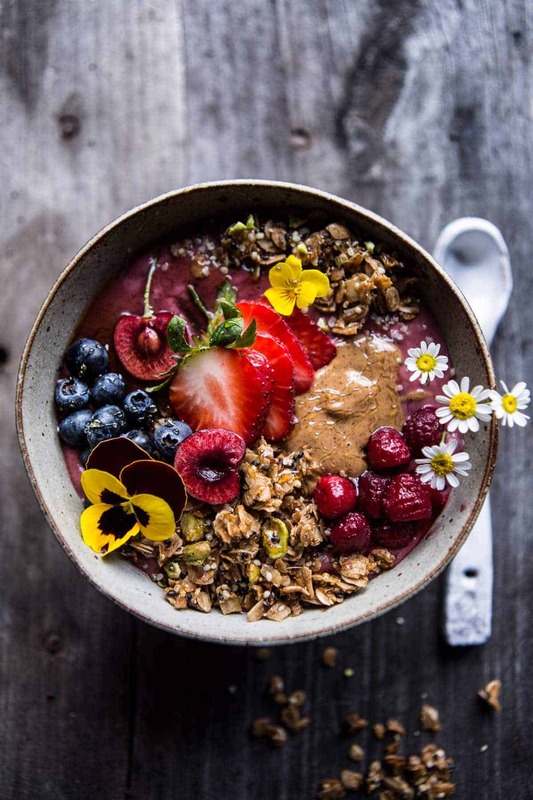 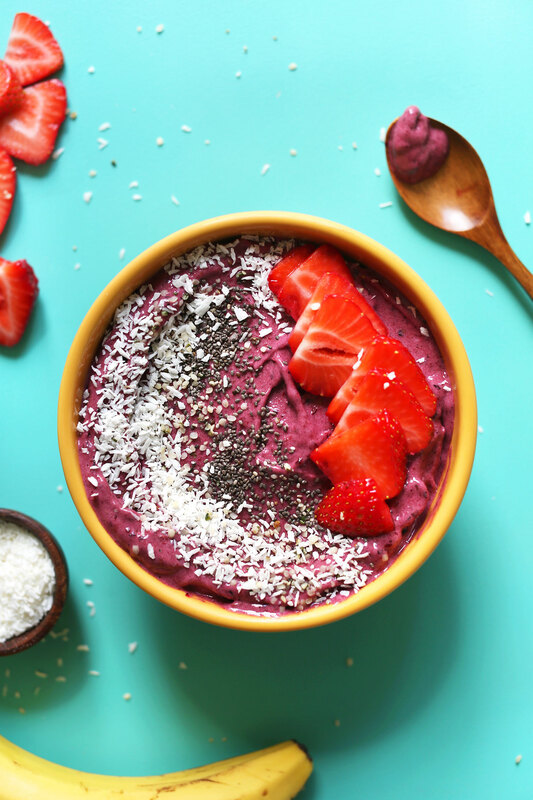 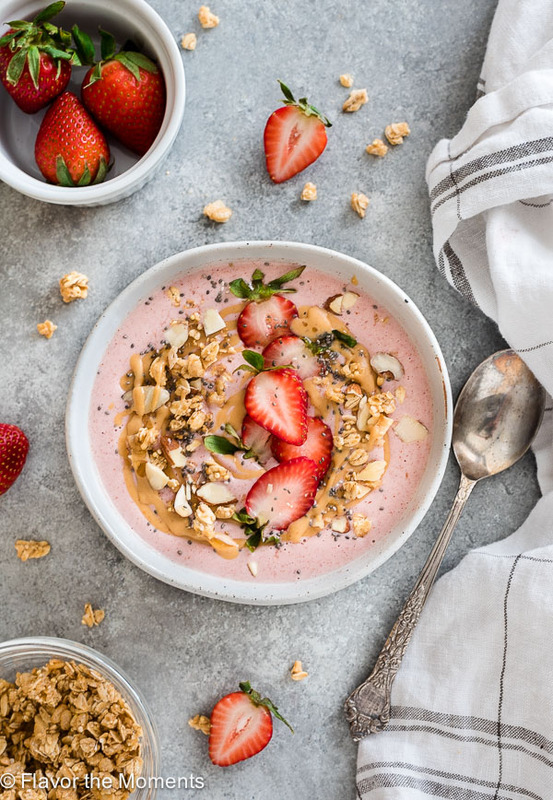 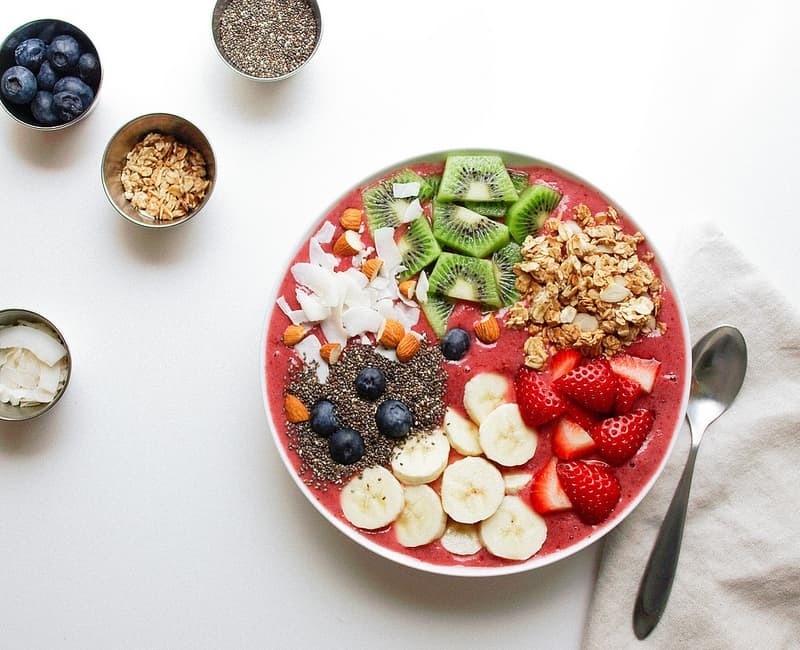 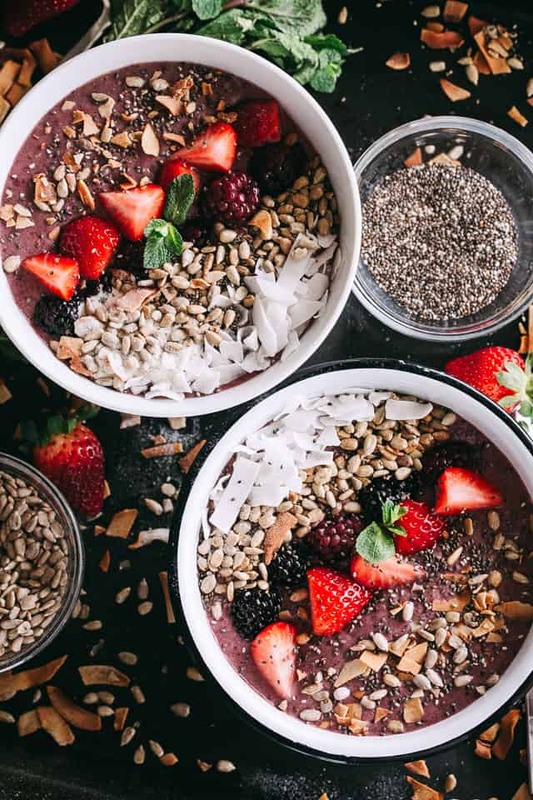 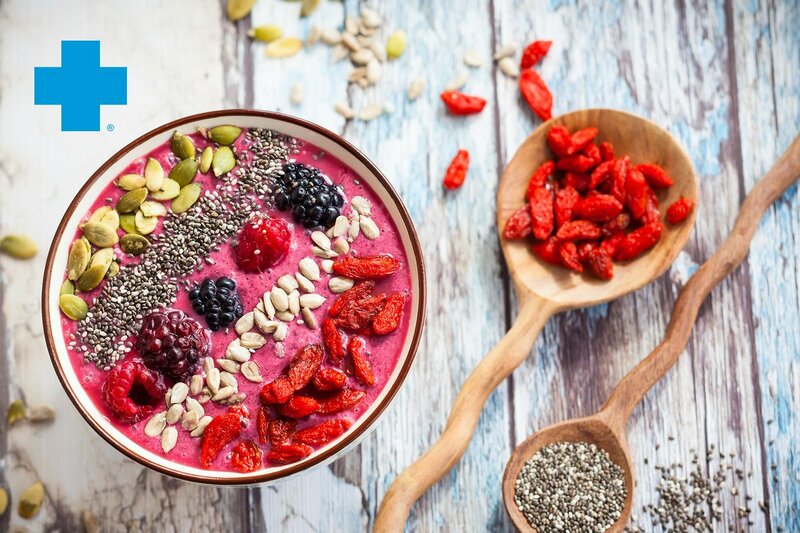 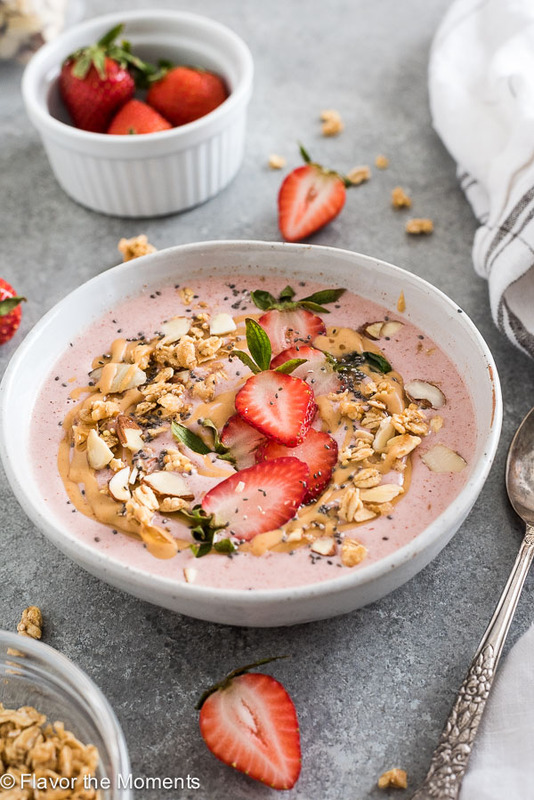 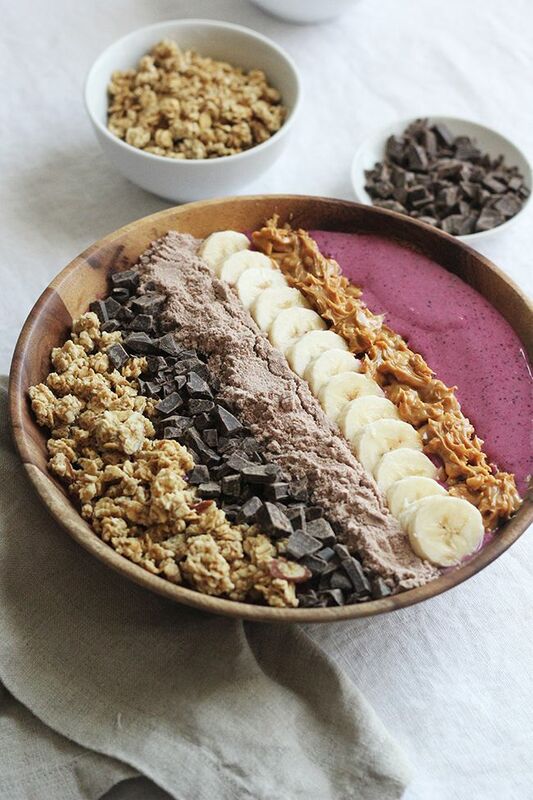 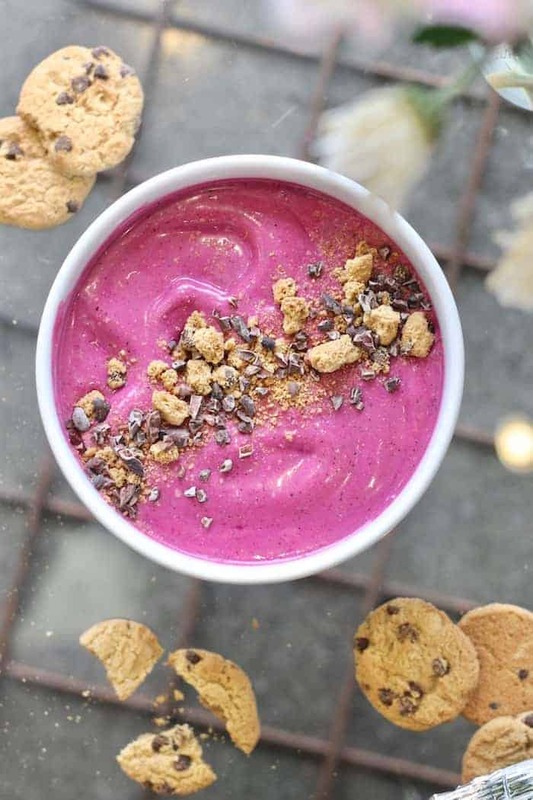 This smoothie bowl literally tastes like dessert for breakfast! 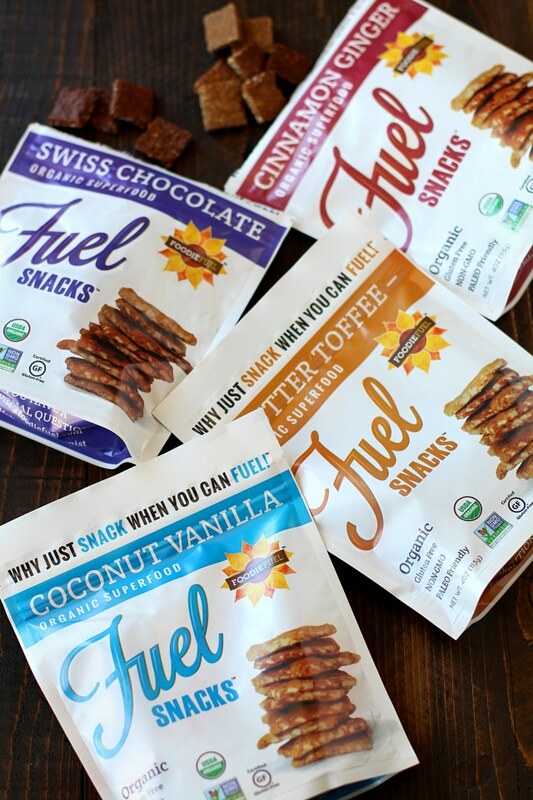 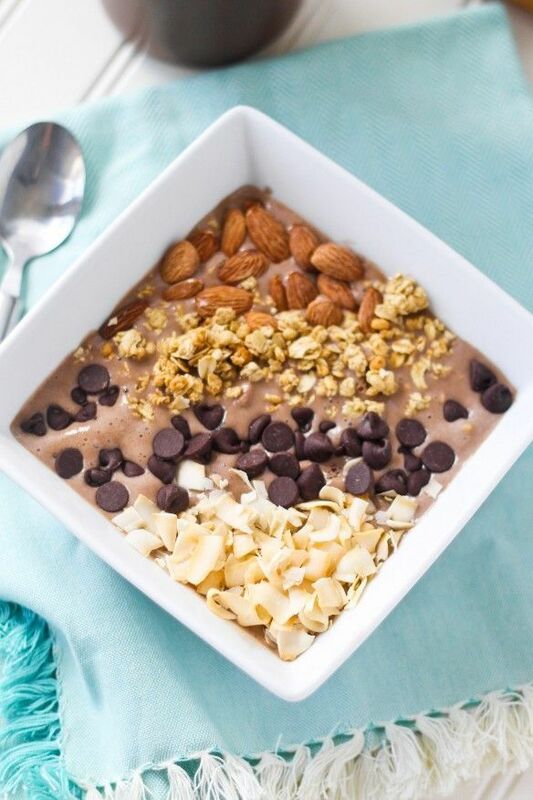 You can't go wrong with chocolate first thing in the morning! 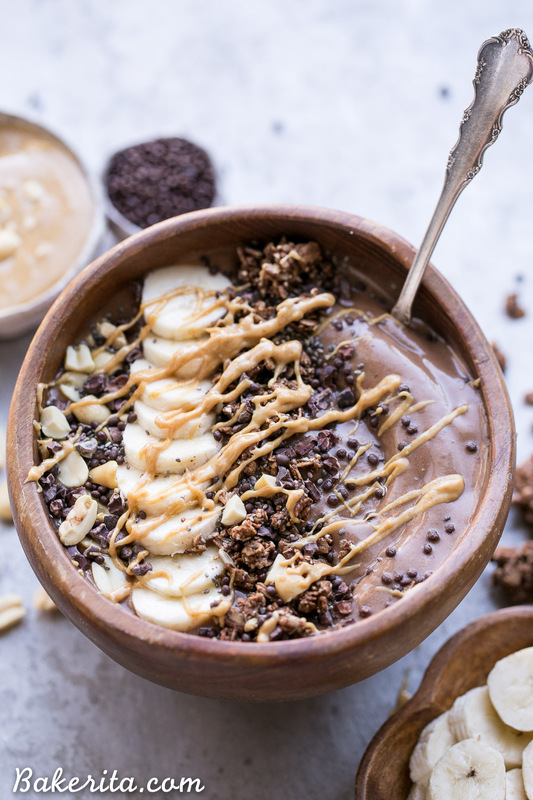 This Chocolate and Peanut Butter Smoothie Bowl is perfect for breakfast or an afternoon snack. 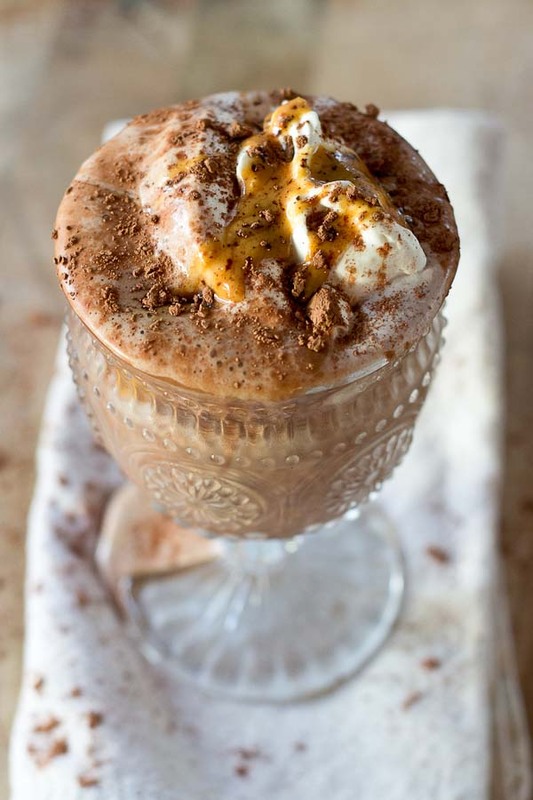 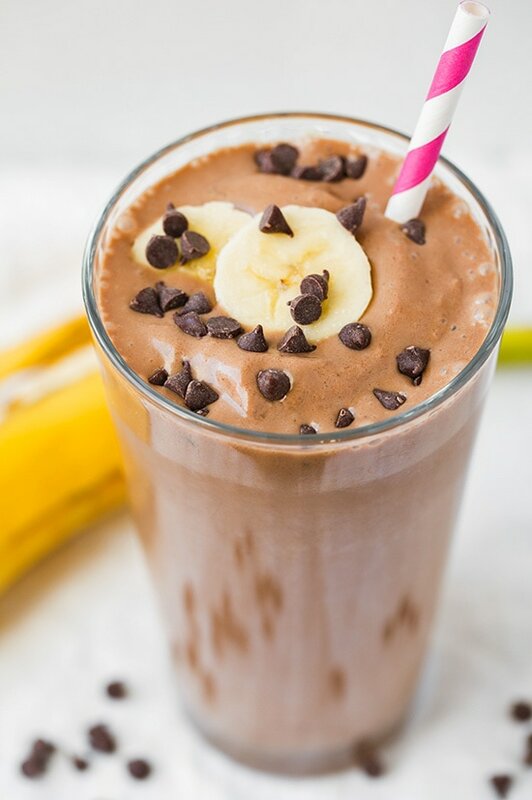 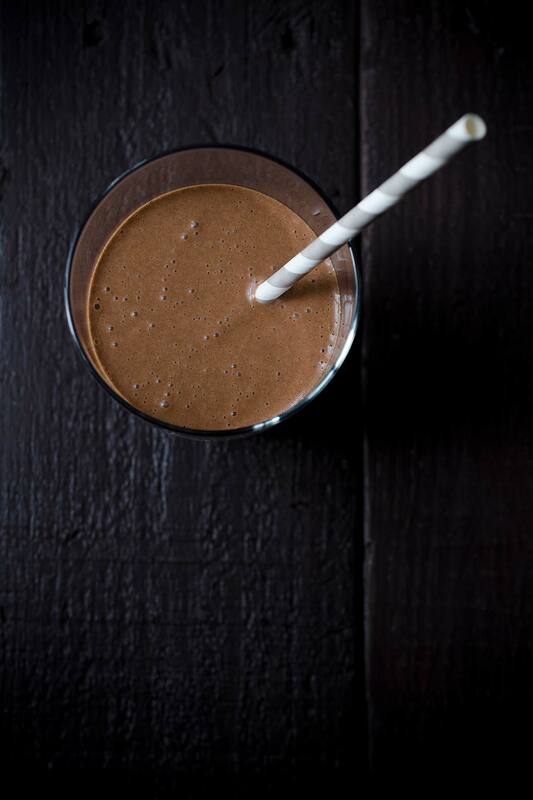 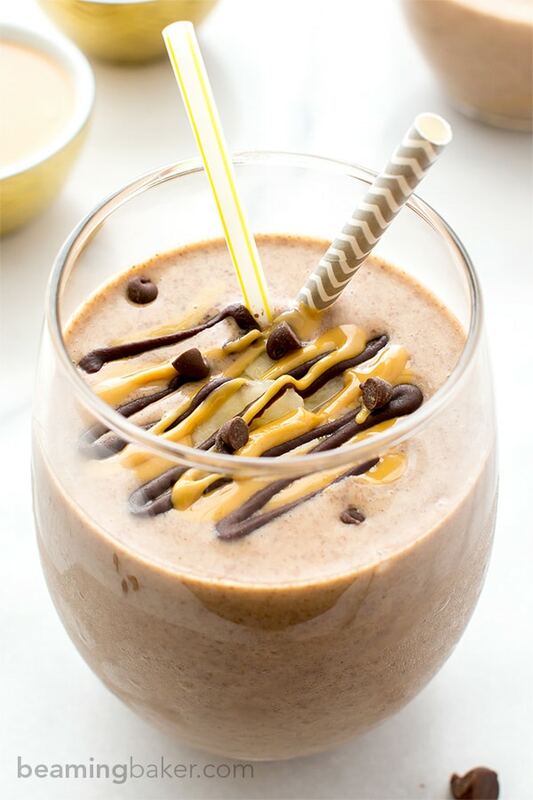 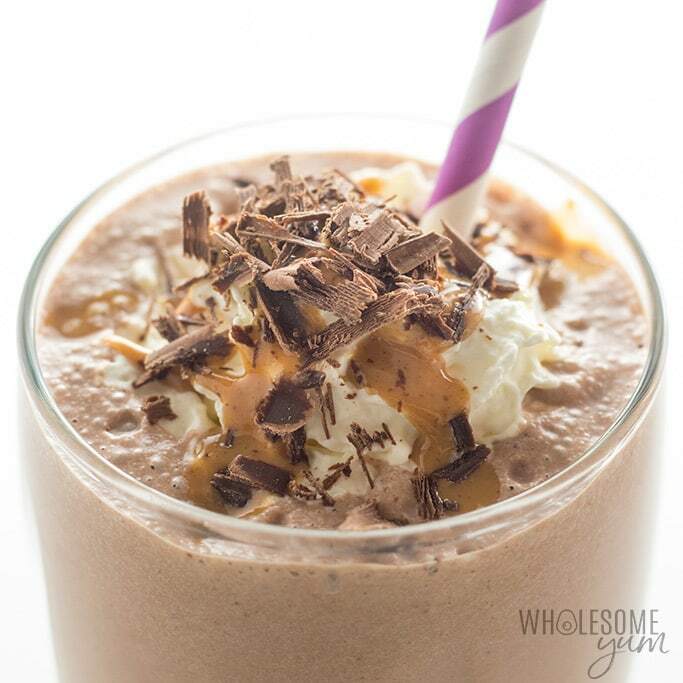 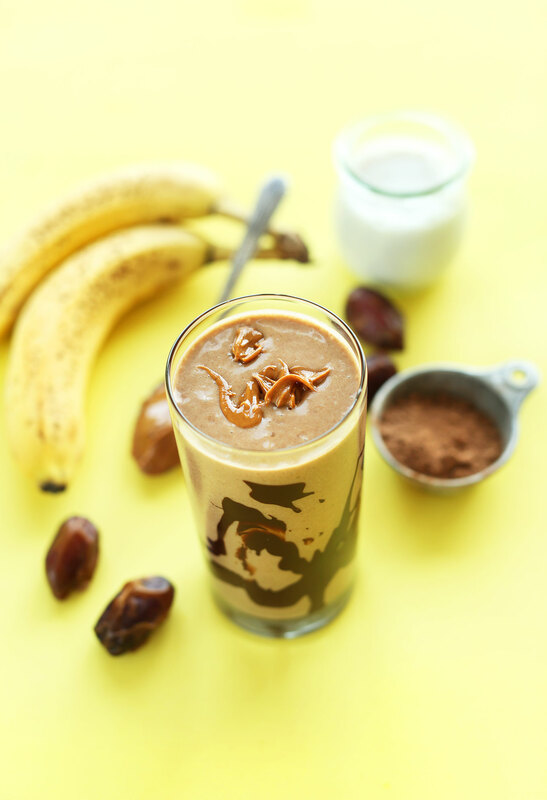 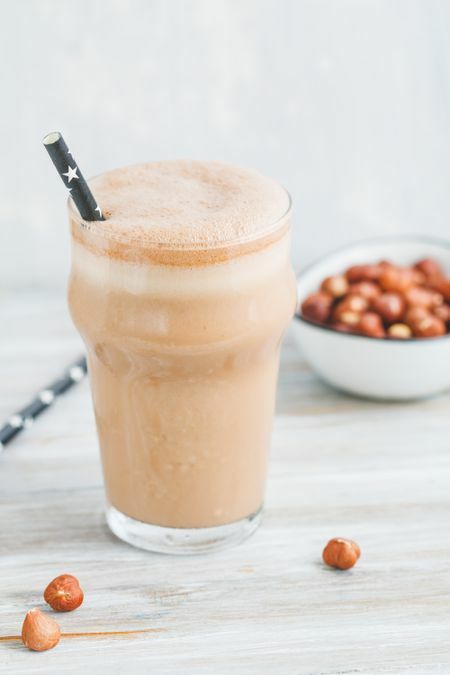 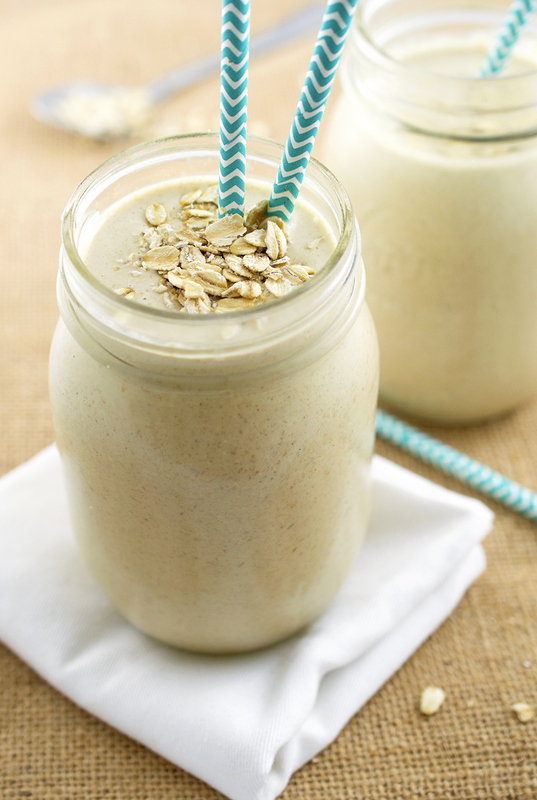 Chocolate Peanut Butter Protein Smoothie with 28 grams of protein! 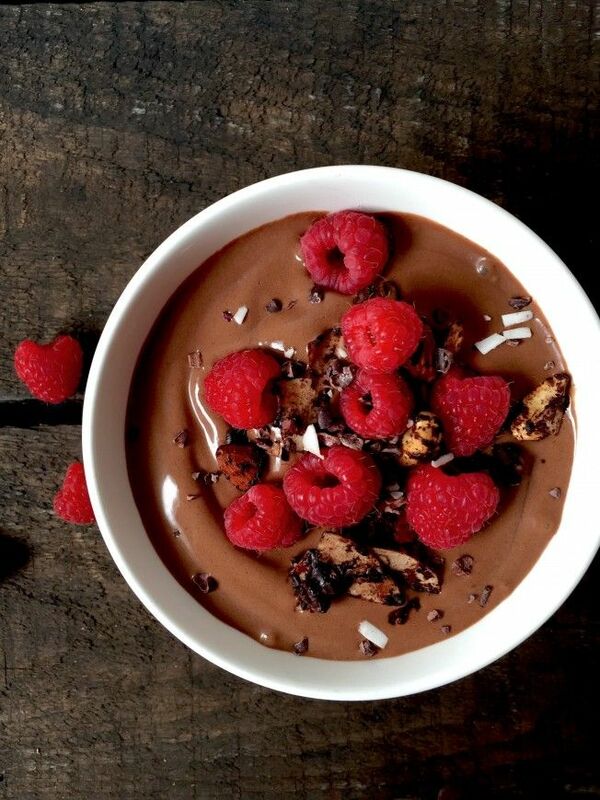 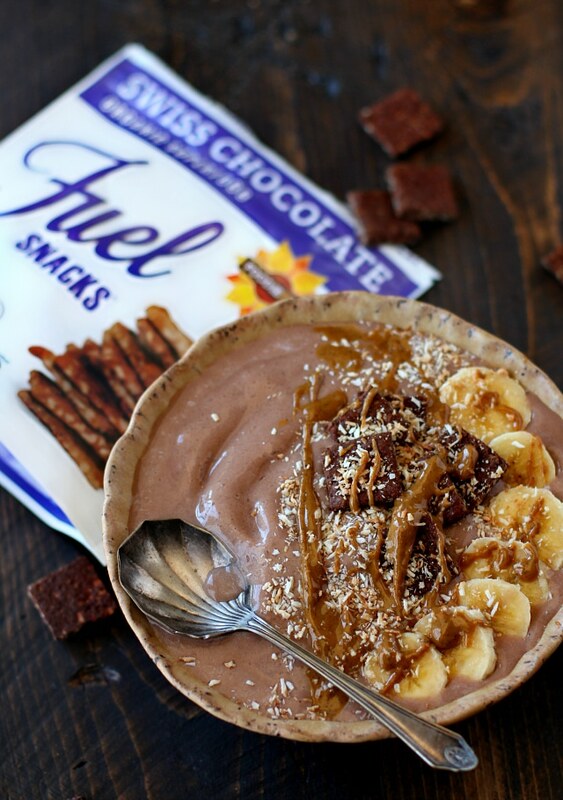 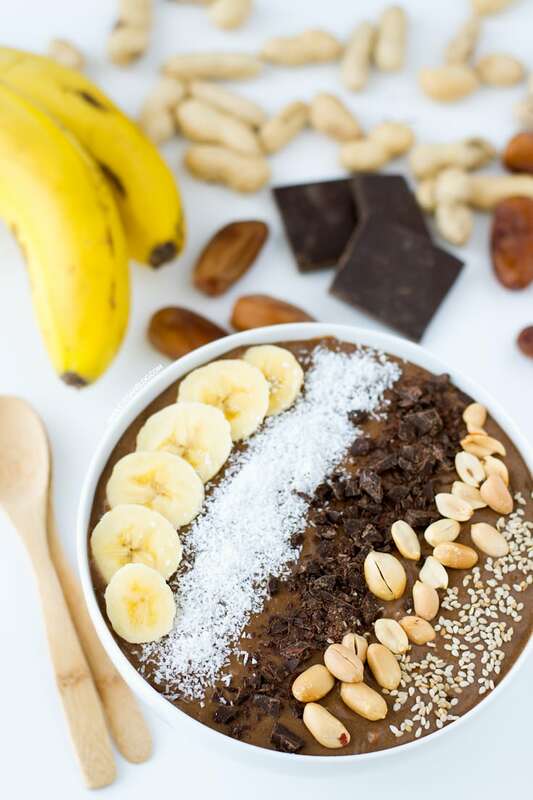 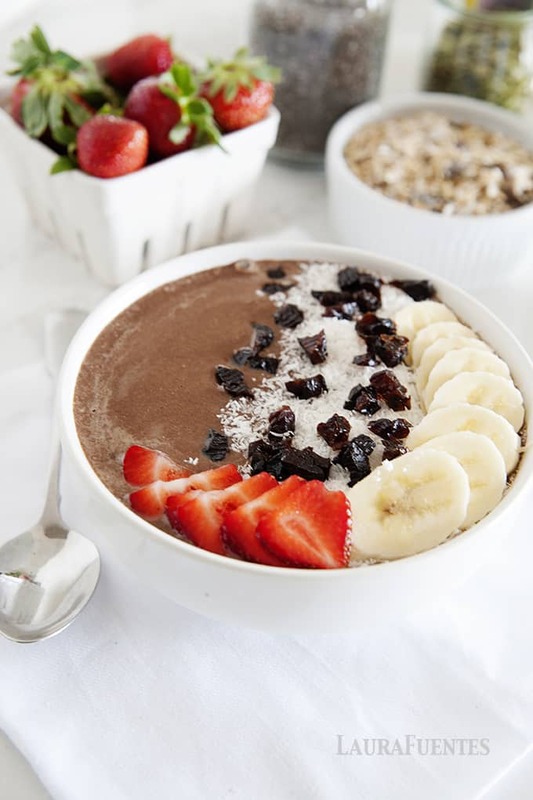 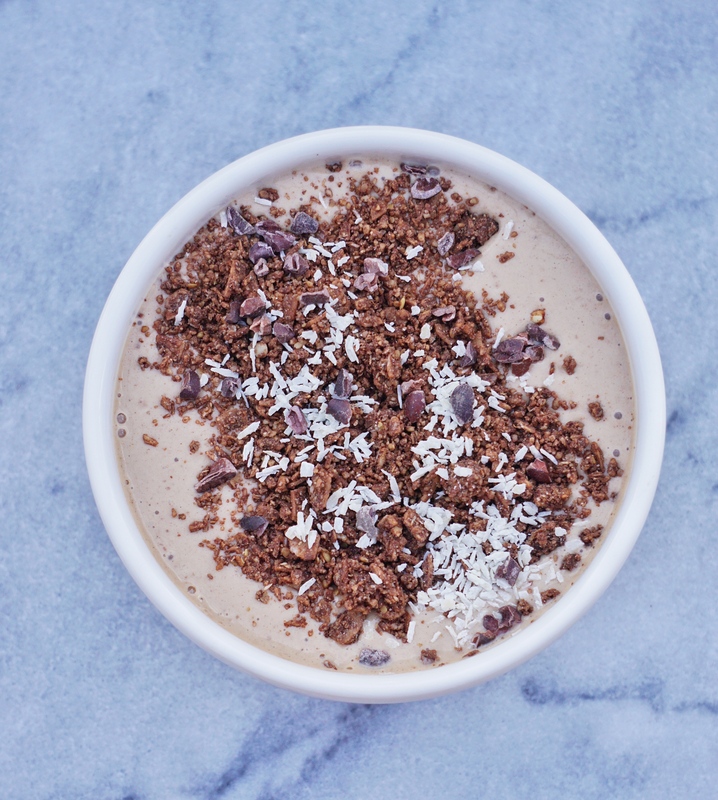 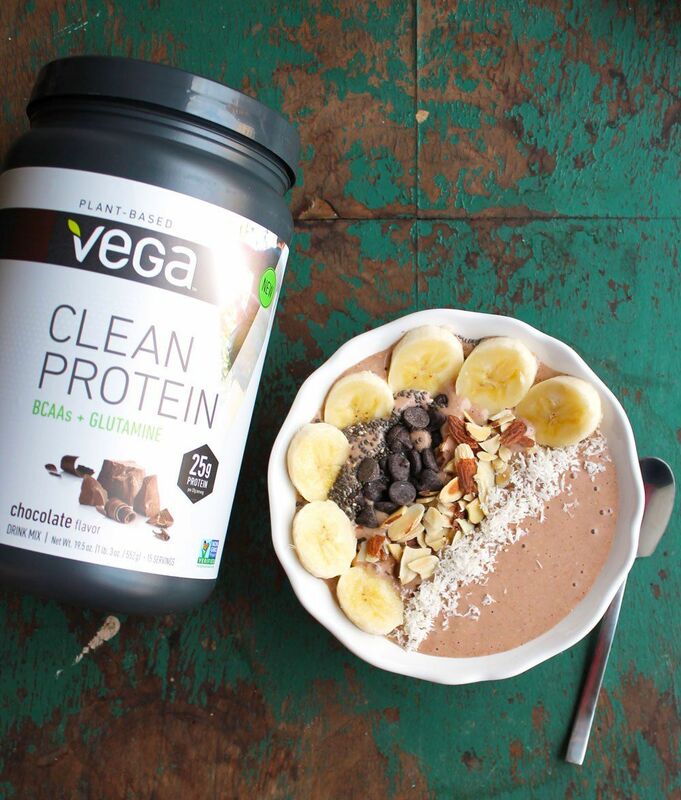 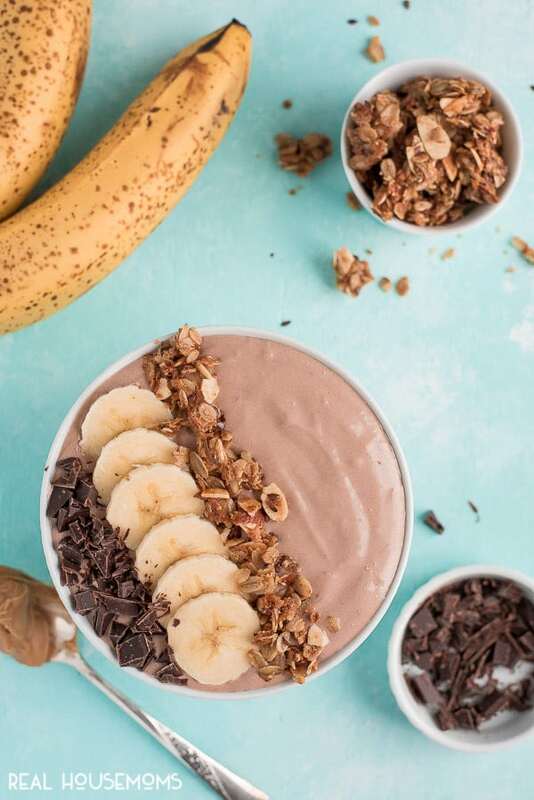 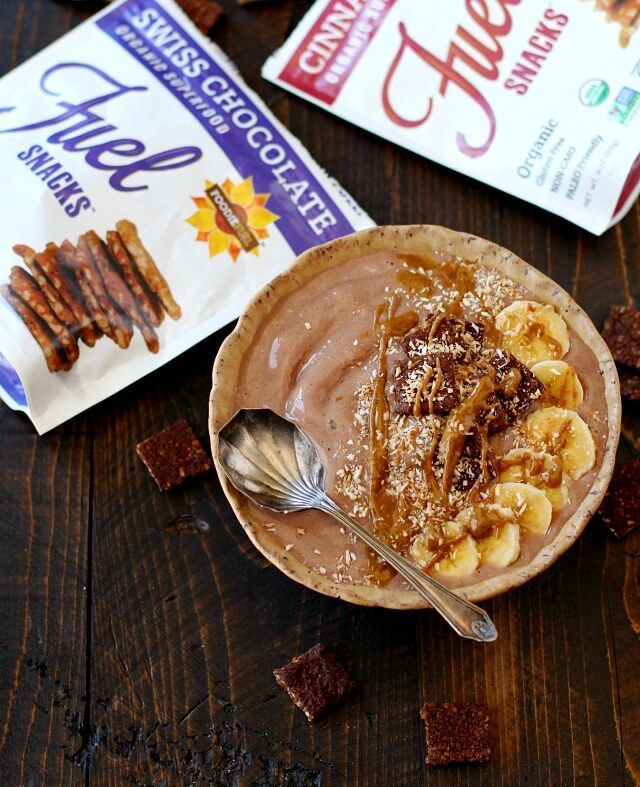 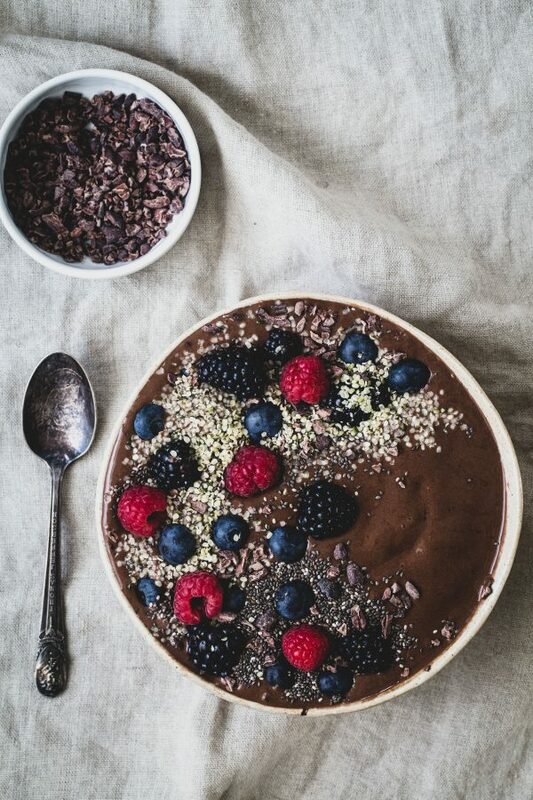 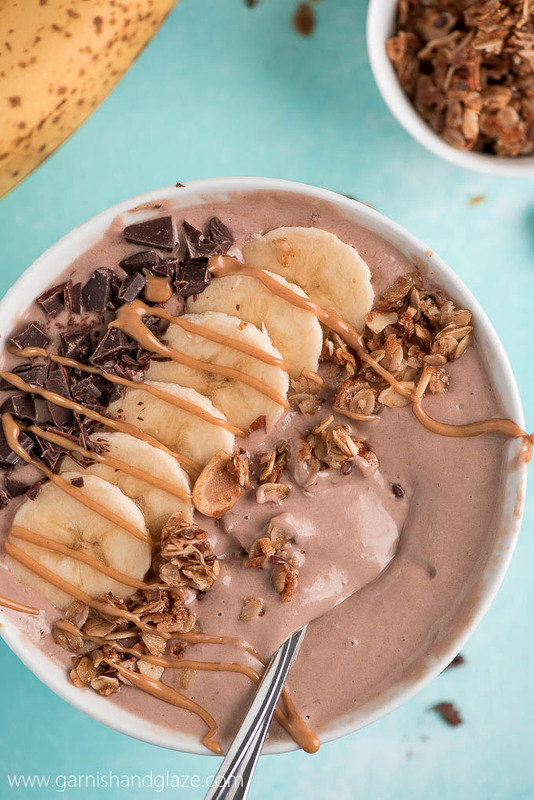 This chocolate-y smoothie bowl is ready in ten minutes and can be made with ingredients you already have in your pantry & LYFE FUEL's Chocolate Protein. 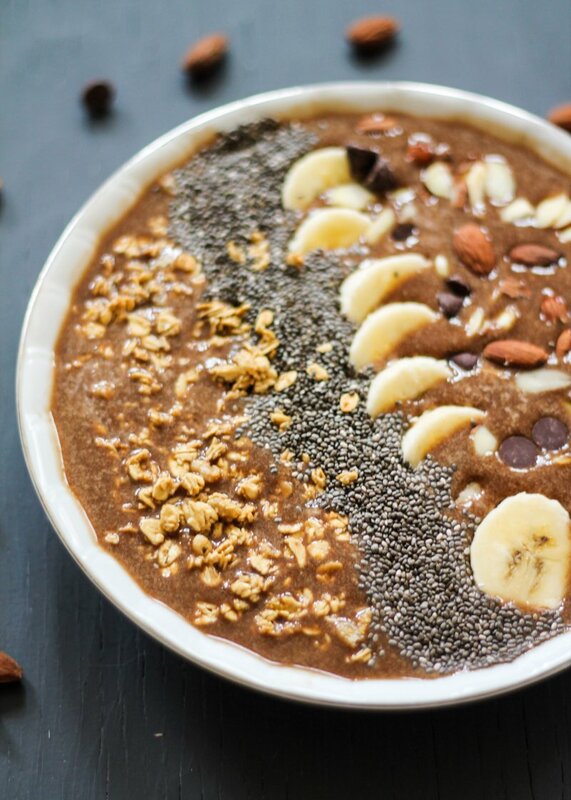 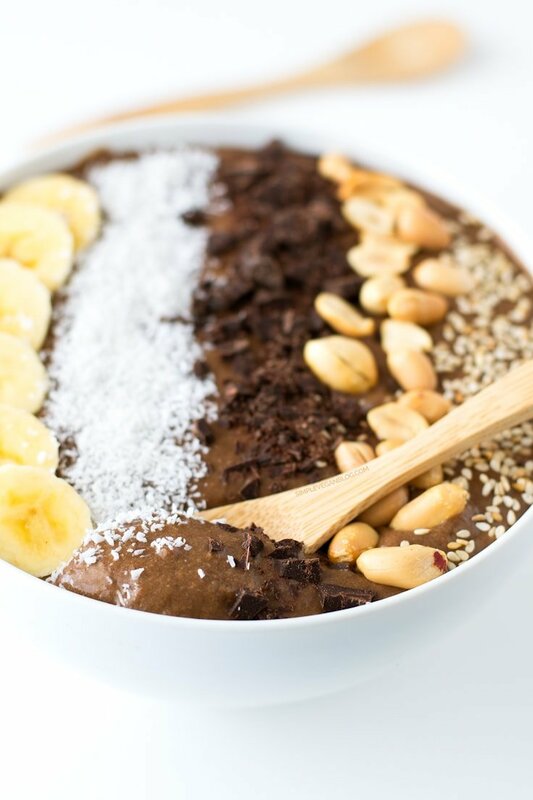 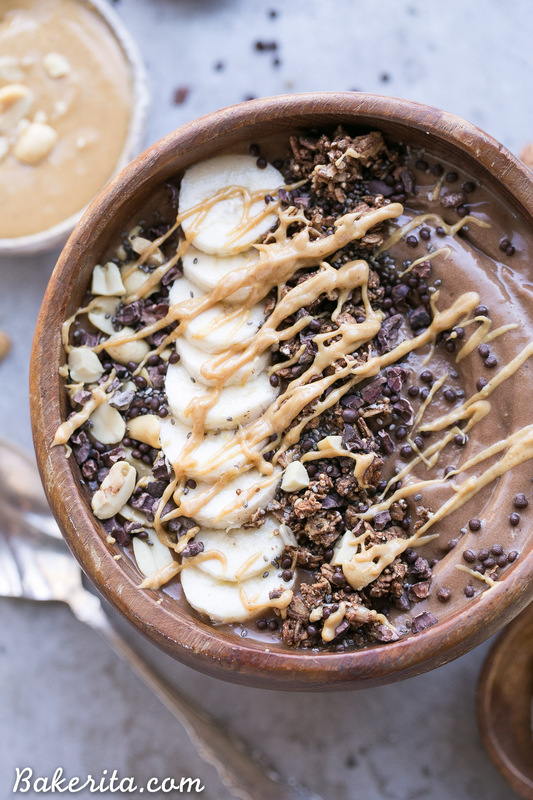 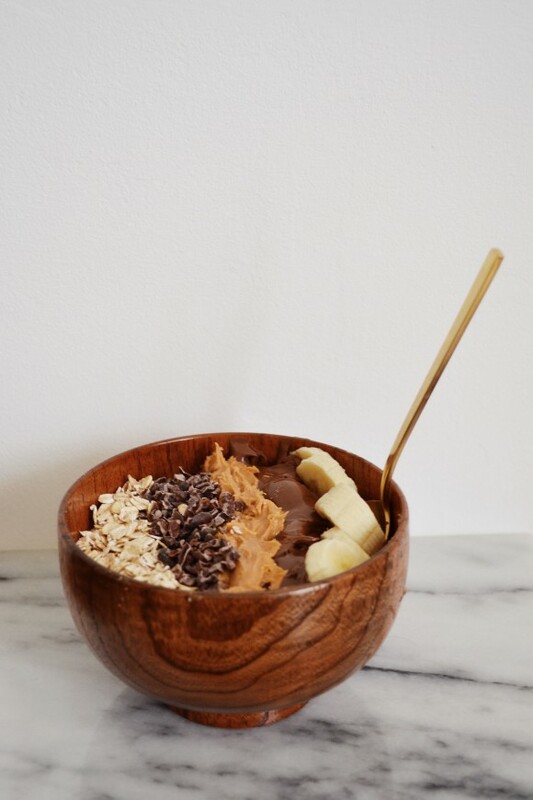 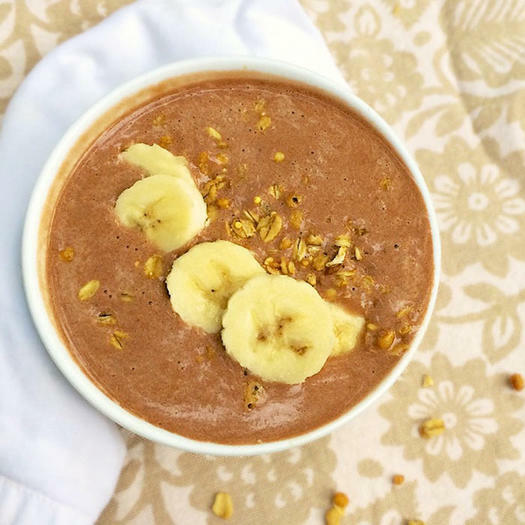 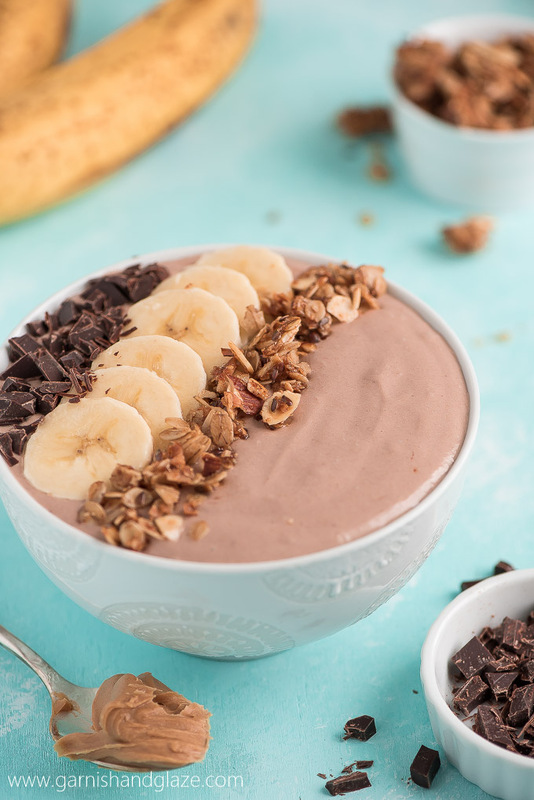 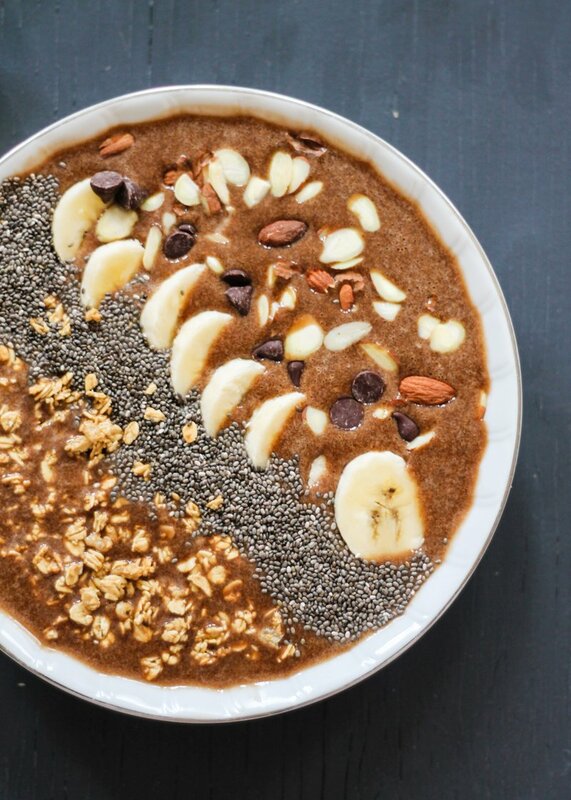 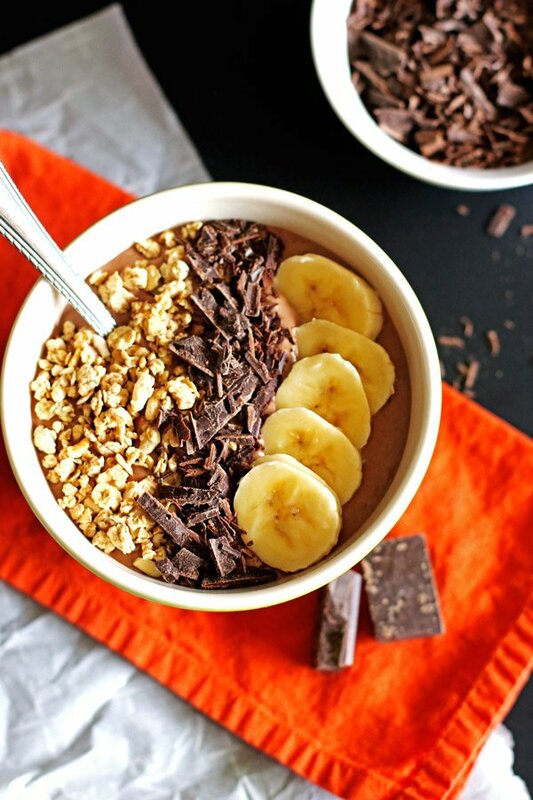 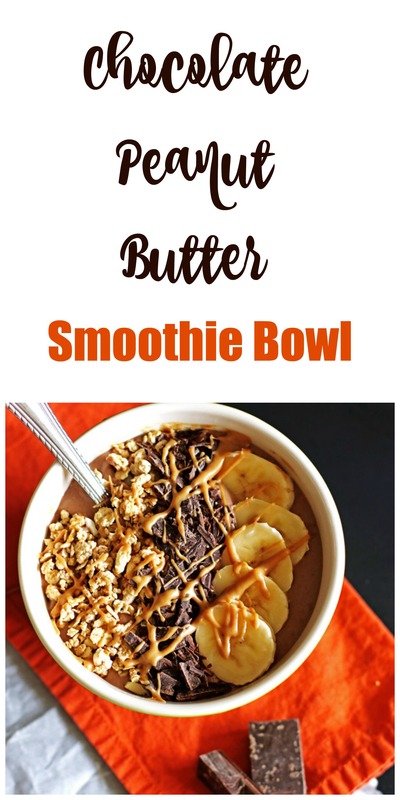 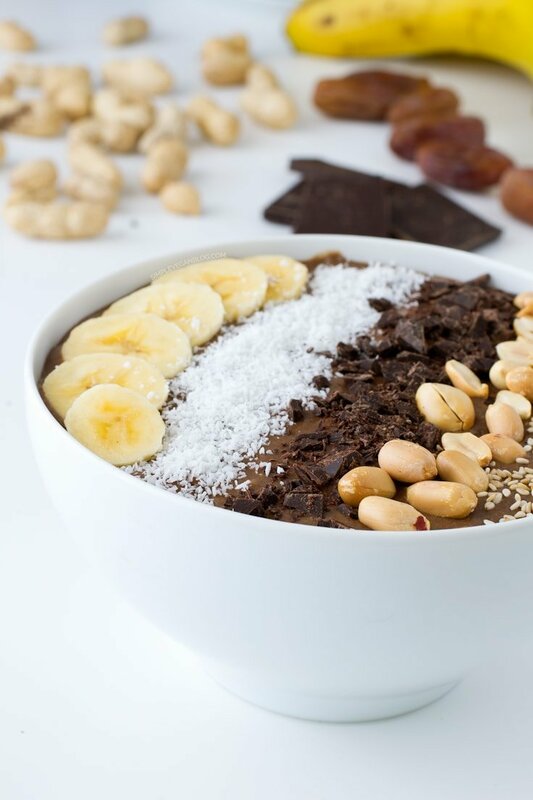 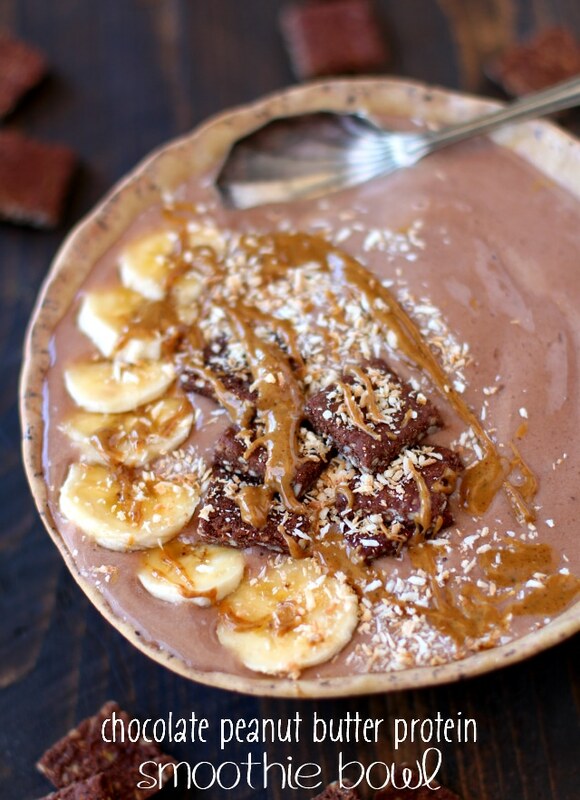 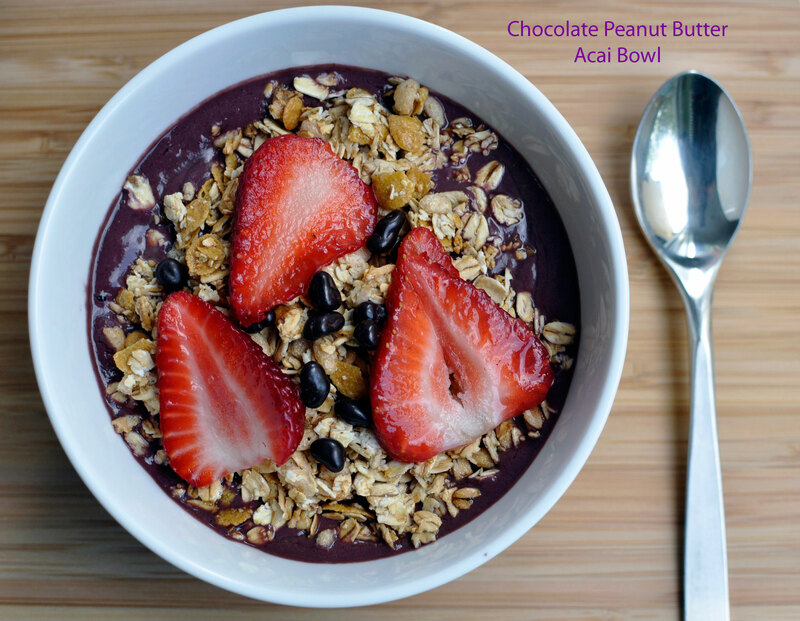 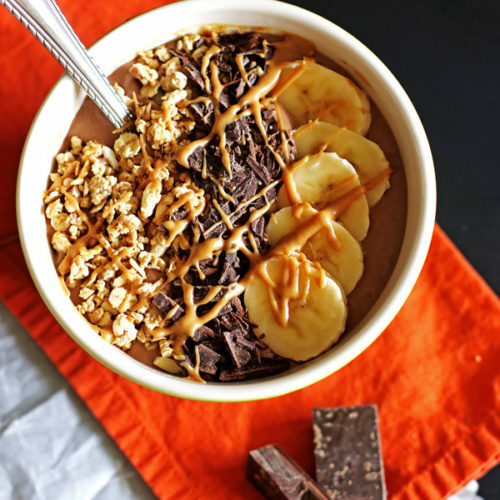 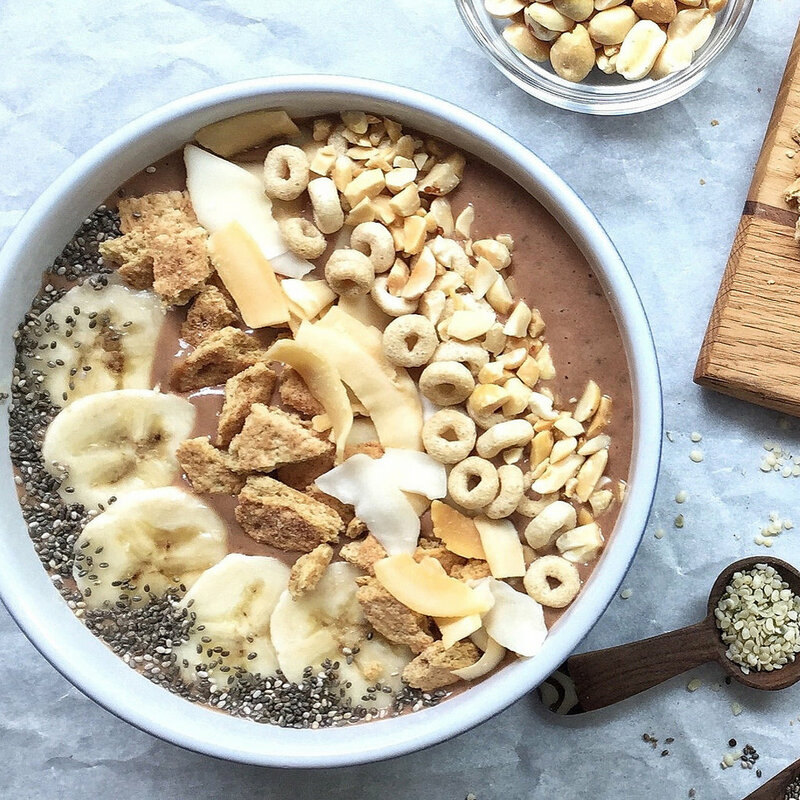 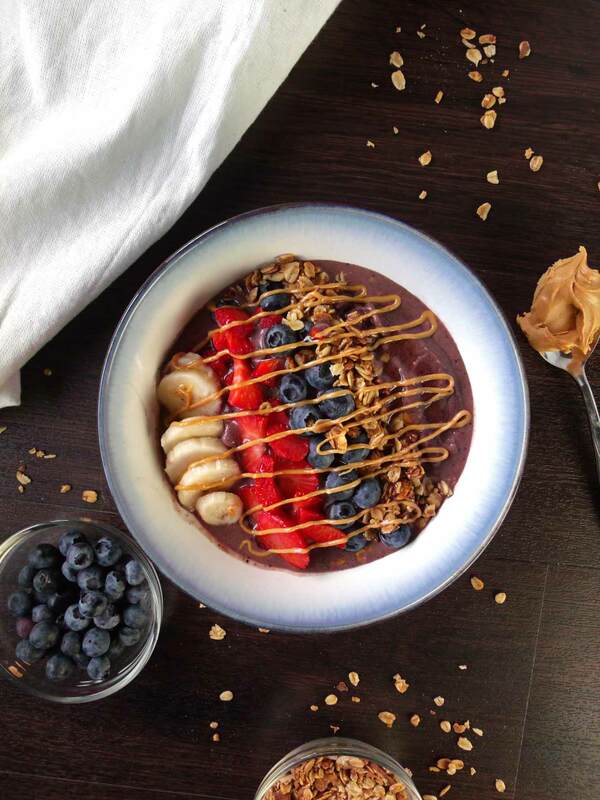 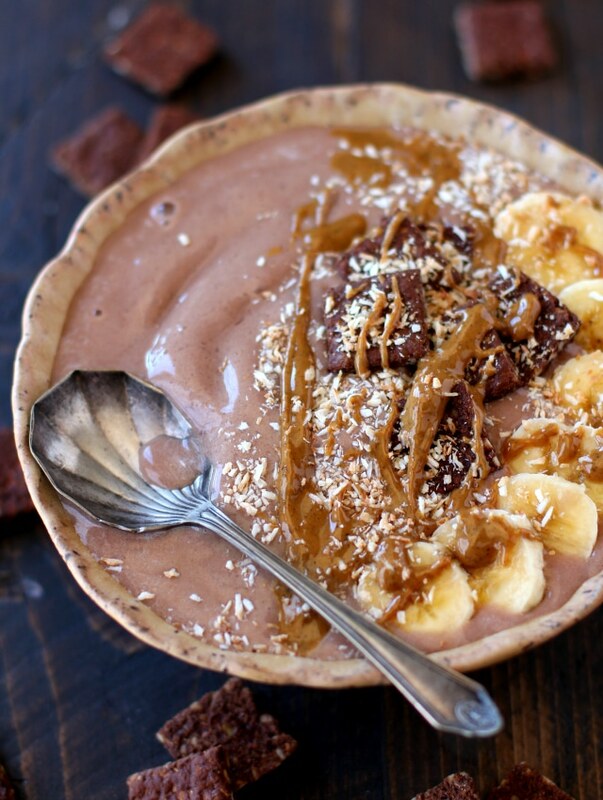 This Chocolate Peanut Butter Smoothie Bowl is perfect for breakfast or an afternoon snack.